As direct manufacturer of various glassware in china, we have been trying best efforts to develop more new items with our best design ability and quality control. We have 3 main factories with more than 400 skillful workers to produce glass vases(colorful & clear), glass bowls, plates, kitchenwares, glass candle holders & candles, glass artcrafts(such as glass paperweights, glass dolphins, fishes, heavy vases, perfume bottles, etc). 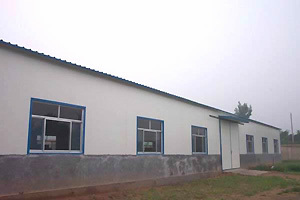 We have established special new warehouse of 600 square meters for secret packaging of specific items to avoid price fighting of same new products or designs. We always confirm the best quality control with best service. Our salesmen visit clients's company per year to get more ideas on our products and service. Honestly hope every clients will feel satisified by our quality products and service. GIVE US A CHANCE, YOU WILL ENJOY THE LEISURE OF BUSINESS!